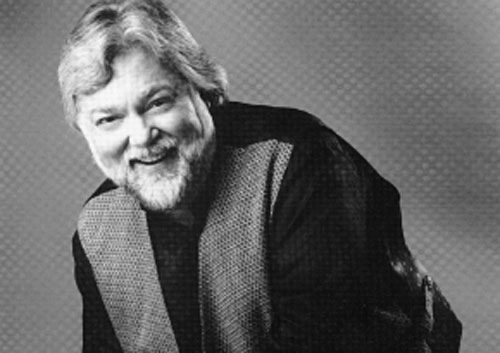 Larry Dunlap is an extraordinary pianist and arranger, a player with taste and sophistication. He has been praised as a “remarkable and versatile accompanist” and “one of the best jazz pianists around — anywhere” in the pages of the San Francisco Chronicle. Pianist, composer and arranger LARRY DUNLAP has a multifaceted career that includes extensive work in the fields of jazz, classical and popular music. Larry lives in the San Francisco Bay area where he regularly appears with his wife, vocalist Bobbe Norris. They perform throughout the U.S. and have toured in Europe, Canada, Japan and other countries. They have made several recordings, both together and separately. Since the early 1980s Larry has been pianist in North America with the British singer Dame Cleo Laine and her musician husband Sir John Dankworth. His past work has seen him appearing and/or recording with jazz vocalists Mark Murphy, Ernestine Anderson and Joe Williams as well as instrumentalists Gerry Mulligan, Art Farmer, Ralph Towner, Ernie Watts, Bud Shank and Larry Coryell, to name a few. Larry has composed works for chamber orchestra and jazz ensembles of all sizes as well as many songs and jazz sketches. He received a grant from The National Endowment for the Arts and has been commissioned to compose several pieces. He has orchestrated and arranged music for the Marin and Peninsula Opera Companies as well as other big bands and orchestras and has acted as musical consultant to the musician/tycoon Gordon Getty for over 10 years. For the past 25 years Larry has worked closely with the Cape Verdian composer Amandio Cabral, recording several cds of his own interpretations of Mr. Cabral’s music. He has also recorded music by composer Earl Zindars. In the pop music field Larry has toured with The Pointer Sisters, Country Joe McDonald and others. He appears as keyboardist, arranger and producer on many recordings. Larry transcribes and edits music for publications from Sher Music Company. These include The New Real Book, Volumes 2 & 3, The Standards Real Book, The European Real Book and others. He is currently at work writing a book in vocal accompanying. At home in jazz. classical and popular styles of music, Larry Dunlap brings a wide range of talents and a unique perspective to each of his musical undertakings.